Heartbroken Couple Begs for the Return of Their ‘Children,’ Who Are Bonsai TreesAn unimaginably nefarious individual stole seven precious trees from two bonsai cultivators. A Japanese Chronicler of ‘Women on Their Own,’ RediscoveredYuko Tsushima’s brilliant Territory of Light is the late, prolific author’s fourth novel published in English. This Perfume Is Impossible to Find, and I Love ItThis is all your fault, Le Labo. Japan Just Lost 80 Percent of Its AirbnbsBad news if you had a trip to Japan planned. Japan’s Shinzo Abe Quote-Tweets Trump Bashing Jeff FlakeIt was probably an accident. The Final Scene of This Episode of Terrace House Is a Great Piece of TelevisionA recap of your favorite Japanese reality show. This Episode of Terrace House Ends on a Cliff-hangerWe finish on an apparently fraught trip to the grocery store. 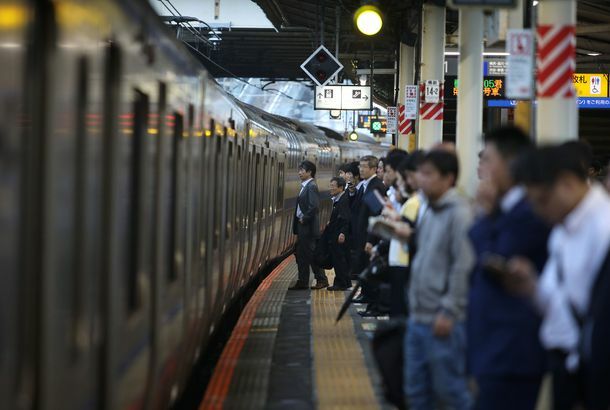 Unacceptable: Japanese Train Leaves Station 25 Seconds EarlyA travesty. Nothing Can Terrace Apart: A Terrace House RecapLet’s discuss your favorite Japanese reality show. 11 Japanese Drugstore Products Loved by a Makeup ArtistWhat Fiona Stiles had to buy on her last trip to Tokyo. Japan Sends False Alert Over Impending North Korean Missile AttackThe mistake comes just days after a similar snafu in Hawaii. How the ‘Twitter Killer’ Lured His VictimsPolice found nine dismembered bodies in a home outside of Tokyo, Japan, earlier this fall. Japan Immediately Sold Out of the Fast-food Cheeseburger Trump AteCurious crowds were quick to consume all of Munch’s Burger Shack’s food. Trump’s Steak–and–Ice Cream Terror Continues Across AsiaHe kicked off his trip to Japan with the “best quality” steak and a chocolate sundae. Trump Under Fire for Improper Fish-Feeding TechniqueIn the first etiquette snafu of his Asia trip. Trump Followed Japanese PM’s Lead in Feeding Fish ImproperlyA misleading photo caught what seemed like the first etiquette snafu of his Asia trip. 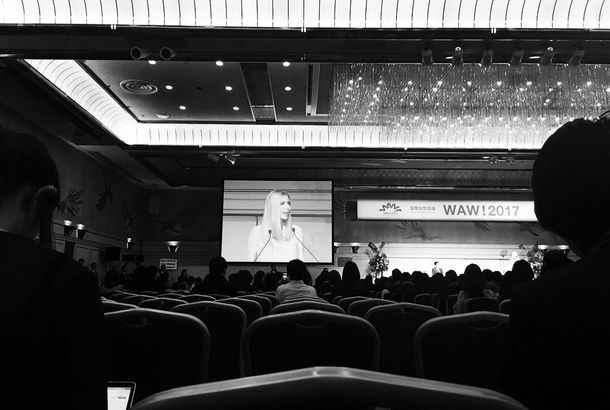 Looks Like No One Wanted to Hear Ivanka Trump Talk About Women’s EmpowermentVery few people showed up to her Friday speech in Tokyo. 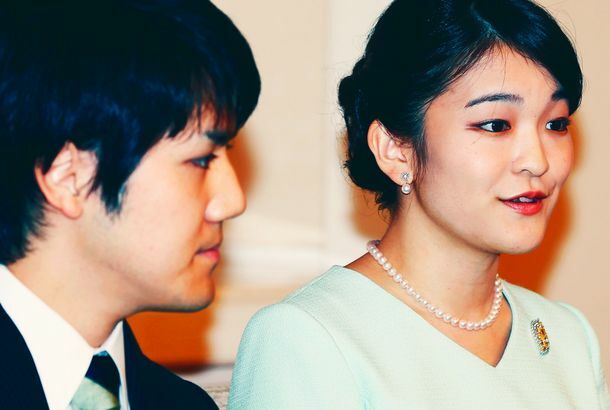 Japan’s Princess Mako Will Officially Give Up Royal Title for LoveJapanese Imperial law requires women to leave the royal family if, like Princess Mako, they want to marry a commoner. North Korea Launches Missile Over JapanThe Japanese government has issued an emergency warning, calling on residents in northeast Japan to seek shelter. Japan Is Getting a My Neighbor Totoro Theme ParkCan Catbus take us there? A Man Ordered an Airline’s Gluten-Free ‘Meal’ — and Got a Single BananaThe salt is what made it a complete breakfast. China Warns U.S. and North Korea That ‘No One Will Win’ If War Comes“We urge all sides to no longer engage in mutual provocation and threats,” China’s foreign minister said on Friday.